When dealing with acne, rosacea or sensitive skin, or needing a makeup specific to skin type, all other mineral makeup brands fall short in this category. Women may love using loose minerals but quickly lose interest with a particular brand because it doesn't take care of each woman's individual issue with her skin. Or it can literally create a problem with her complexion when she didn't have one before. Women are as diverse in age and ethnicity as there are skin issues. 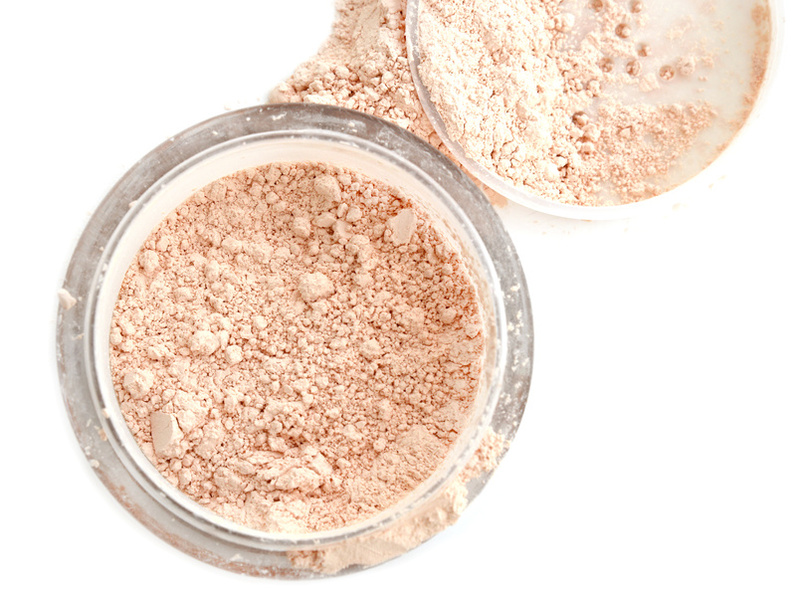 The most common problems with many mineral makeup brands are caking, melt out, color shift, itching, irritation, doesn't last, poor coverage, ages skin, looks shiny or greasy, and / or looks particularly chalky. It is these reasons we pursued the development of the first and only loose mineral makeup brand that addresses the different skin types and the changes to our skin that occur in most of us as we age in life or as the seasons change. With no other options available women have had no choice except to use an all encompassing formula. This type of mineral makeup will only work for a few while the majority of women don't find satisfaction in it's performance. We thought it best to not only provide a choice in beautiful natural looking shades, but to help women with particular problematic skin types such as acne, rosacea or sensitive skin. The formulas below are designed for your specific skin type! Enjoy a perfect blend of Titanium Dioxide and Zinc Oxide combined with skin conditioners. You'll have a beautiful luminous complexion without excessive shine and provide superior coverage for acne, redness or melasma. Your face will have a more youthful dewy appearance, optimizing the healthy glow of younger looking skin. Do you have T-zone oily breakthrough? This choice is excellent for balancing skin and absorbing excess oils. You'll love this makeup formula as it helps soothe sensitive, irritated and acne skin types. Don't like Kaolin Clay? We have removed it from this foundation formula. Your skin will possess a sheer translucent appearance, yet provides nice coverage for any acne or redness associated with irritation. Enjoy a soft natural finish of healthy glowing skin without looking matte or shiny. This formula will literally meld with your skin tone. It will assist with calming erythema or other skin irritations due to it's astringent properties, yet won't cause dryness. Are you needing more coverage? This has the most opaque coverage using very little. It is ideal to use for concealing acne, redness, scarring and other minor skin imperfections. Oily skin a problem? This formula has high oil absorption while leaving skin with a soft natural semi-matte finish. A single application will be enough unless you want to obliterate every little flaw. Careful though, you don't want to appear unnatural looking. Your skin won't look chalky or caked, yet you can have maximum coverage without causing whitening to the skin. If dealing with dry or sensitive skin, but are oily, it is best to purchase your foundation base in Delicate Rose and add Soft Finish Veil for boosting oil control. Beauty Tip: To reduce brightness which may occur in VELVET formula, spritz or use a good moisturizer to boost pigment intensity.